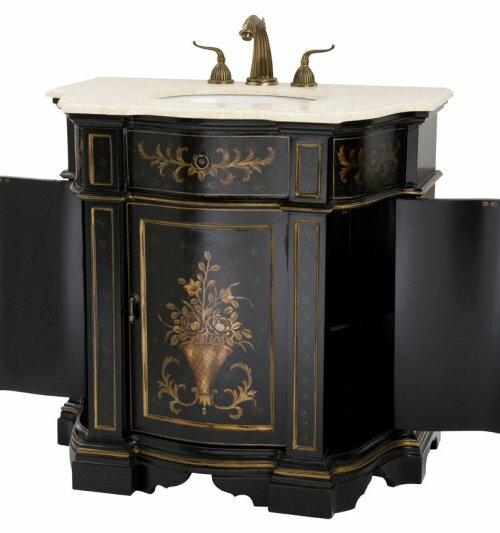 What's new in the world of bathroom vanities? How about furniture-grade, freestanding units with stone or solid-surface tops ... in styles ranging from ultra-modern to Victorian elegance. Increasingly, the source of these units are the same offshore factories that make most of the furniture now sold in the U.S. Domestic cabinet manufacturers - a more traditional source of vanities - offer more choices than ever before as well. So now more than ever, vanity styling choices abound if there's a new bathroom in your home's future. 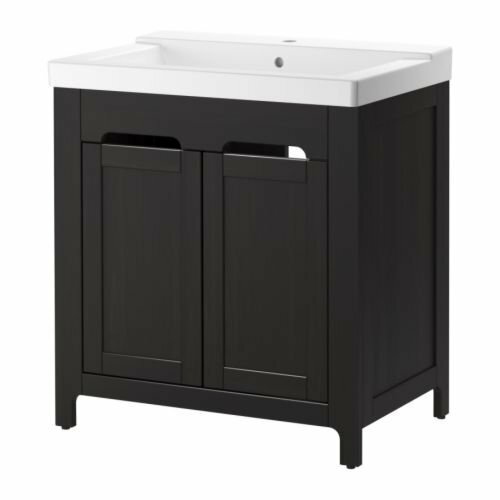 Colorful bathroom vanities and cabinetry in contemporary and classic styles. Made with environmentally friendly materials including formaldehyde-free fiberboard and low VOC paints. Classic Designs bills itself as offering the nation's largest selection of wood turnings for kitchen and bath projects. It sells scores of styles (in many species) of legs for tables, kitchen islands, bathroom vanities and other projects. Also: Chair kits, corbels and brackets, table base kits and more. The site (and the company) is the brainchild of Vermont craftsman Matthew Burak. Check this one out if you're a woodworker. Canadian company custom designs and produces cabinets for kitchens, home offices, libraries and other rooms of the house. This California company makes and distributes furniture quality bathroom vanities and cabinets. A bouquet of hand painted posies adorns this hardwood vanity from Ambella.